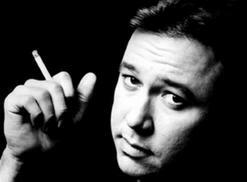 At just 32 years of age, comedian Bill Hicks passed away 24 years ago on Feb. 26, 1994 from pancreatic cancer. He's famous for his pro-drug rants. 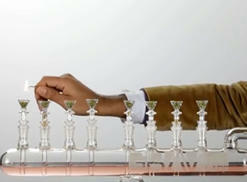 Watch the one called "Marijuana." 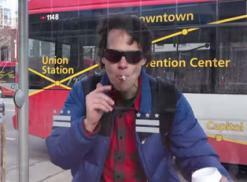 Washington, DC native Rob Cantrell was so inspired by the new legalization law in the Nation's Capitol that's he's cut a "Go-Go" version of his comedy classic, "Coffee and Weed" - 'cause that's what he needs. Known for his parody song videos, Steve Berke's latest is a remake of the "Grease" hit, "You're the One That I Want," in support of Florida's medical marijuana initiative, Amendment 2. Unfortunately, it was removed by YouTube. 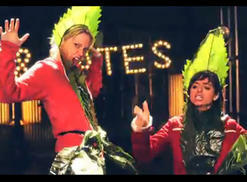 The comedy folk duo, Garfunkel & Oates, known for their medical-marijuana song "Weed Card," are also co-stars of a the IFC series, "Garfunkel and Oates."